Home › Apparel › Is this The Best New Golf Hat Ever? I know what you are thinking. “How can the design of a hat be improved..I mean hasn’t it been designed to the point where it can’t be improved”? I mean sometimes you get to the point where it is at its optimal design and it works perfectly. We had a chance to test out a new hat design from Urban Canairie and we must say..the hat design has been given an upgrade! The Urban Canairie design has solved two problems with hats..they get hot and they mess your hair up, hence the term ‘hat hair’. Lets take a look at these two problems and how the new hat from Urban Canairie fixes them! Let me set the scene: Its a nice summer day and you are heading outdoors to enjoy it. Its sunny..so you need a hat, duh. But after a few minutes you start to feel the brim of your hat get a little damp. Yeh, you are sweating and it is only going to get worse. Take off your hat and cool off your head, and the sun beats down on it. Leave your hat on and the top of your head bakes like bread at 350 degrees. The new Urban Canairie design solves this problem by having mesh sides to ventilate air and allow the top of your head to get fresh air and cool down. So the heat from your head actually has a place to escape. Even though it is a myth that most of your body heat escapes from the top of your head, heat loss is still about 7-10% on your head. 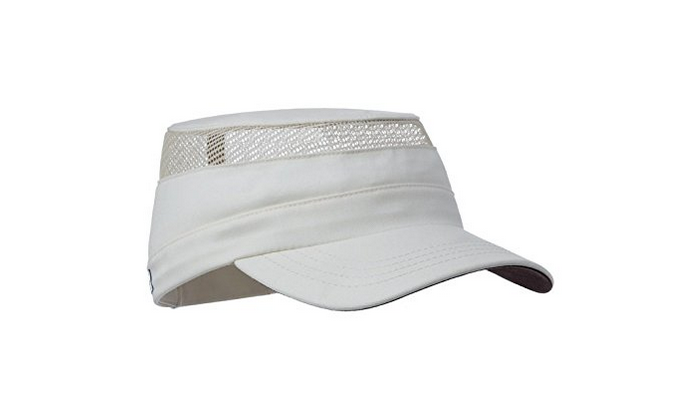 It has a solid flat top so it still keeps the beating sun off your head all the while allowing air to get in there. These hats have a flat top on them. They are designed to sit a little bit higher than most hats. This way the top of the hat is not touching and messing up your hair. They are also not rounded on the top so the sides go straight down allowing more room for your hair, in contrast normal hats crush the top and sides of your hair and that is why it always gets messed up. They are manufactured in Canada and really well made. 65% of recycled plastic bottles and 35% certified organic cotton. Another cool feature is that the bottom of the visor is made of a darker color to absorb light and minimizes glare. At $35 USD, they are a great replacement for wide brim hats and are cheaper! 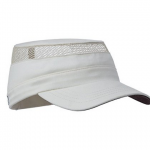 The Urban Canairie hat is made for people who love to get outdoors and get active. This is why it makes it perfect for golfers. It can be the best new golf hat on the market today! We feel the ventilating design would be perfect for those long 18 hole rounds in the dead of summer. 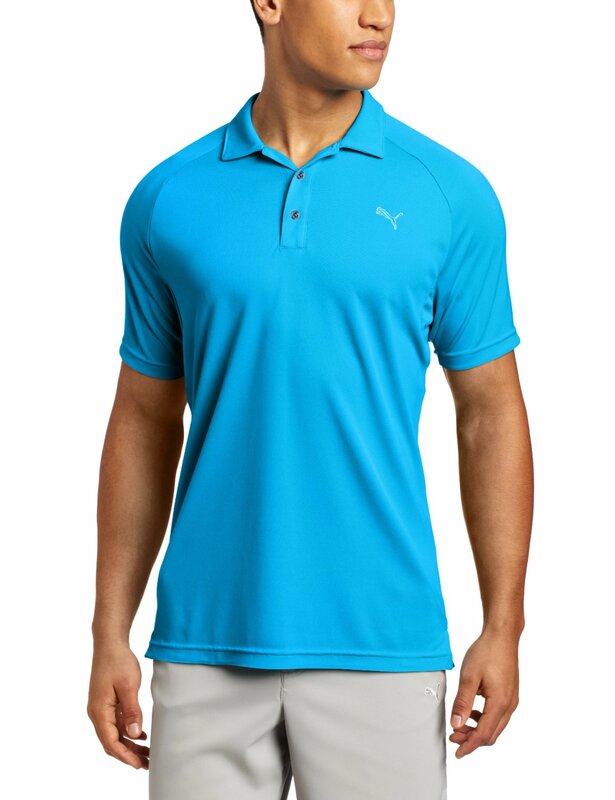 Best Golf Shirts for Men What are the Best Sunglasses for Golf? The Best Golf Rain Gear – Stay Dry! What are the Best Golf Shorts?